I recently made naturally green Leprechaun cups for St. Patrick’s Day, and had the urge to make another festively green recipe, with a Disney flair of course! So I made healthy, vegan, and naturally green Mickey Mouse-Shaped matcha green tea waffles! In a bowl, mix your almond milk, maple syrup, and oil together. Then add in baking powder, salt, flour, and matcha powder; mix well. Spray a Mickey waffle iron and then cook your waffle for 4 minutes. 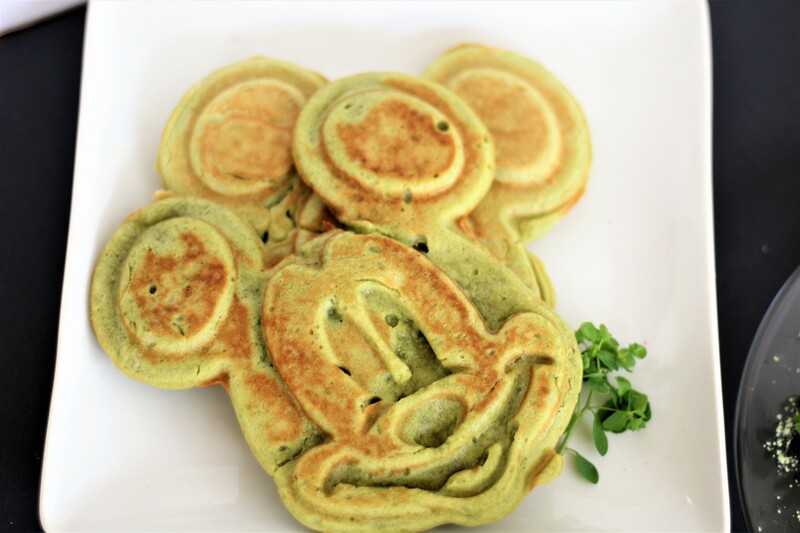 I hope you enjoy celebrating the holidays with these St. Patrick’s Day, Vegan Matcha Green Tea Mickey Waffles!